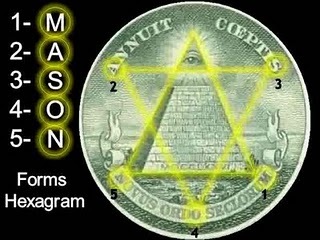 Also known as the Star of David or the Magen David, the Seal of Solomon is a hexagon, a symbol whose outward simplicity hides a complex and layered inner meaning. 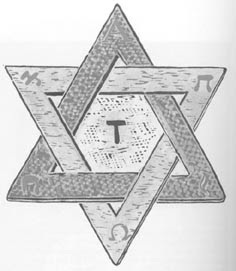 There are several different versions of the Seal of Solomon, but in its most basic form it consists of two interlocking equilateral triangles, forming a six-pointed star. The easiest way to understand many symbols is simply to look closely at its component parts and see what they appear to be. the upward-pointing triangle looks like a flame, and this is exactly what it represents. In its most basic form, this triangle is the elemental symbol for fire. he Western tradition, the Eastern tradition, the Kabbalah, Alchemy all are agreed. there is also agreement about the other triangle that balances on its point; it represents water. Fire is the male element, and water is female. the inverted triangle is also the symbolic representation if the yoni. In India the hexagram is called the Shatkoona and represents the energies of Shiva and Kali locked in constant embrace. opposing forces which combine to make all living things and is the symbolic epitome of the phrase "as above, as below." More prosaically, the star of David has been used as the symbol for alcohol, quite literally, "fire water." In alchemy, the star of David is a reminder of the seven planets and the seven basic metals. At the top is silver/the moon, then moving around the points of the star clockwise direction are copper/Venus, Mercury/mercury, lead/Saturn, tin/Jupiter and iron/Mars. In the central space, also called the quintessence, are the Gold/Sun. Sometimes the Seal will acknowledge this central space with a dot of the Tau symbol. Alchemists are very fond of concealing their symbols in some way, and sometimes the star is disguised as a six petaled flower. It is hidden in this way in the curious alchemical tome, the "Mutus Liber," as its name implies, this "Silent Book" has no words but consists of a series of pictures that describe the process of making the Philosopher's Stone, the primary ingredient in the Elixer of Life. Elsewhere, the star is concealed as a flower at the center of the maze at Chartres cathedral and even in the US dollar, itself a seething mass of hidden secret symbols. This incredibly versatile symbol is called the Seal of Solomon because so the story goes, it featured on a magical signet ring belonging to King Solomon. Supposedly, the ring gave him power to understand the language of birds and animals, and to conjure up spirits to do his bidding. The star of David as a symbol of the Jewish faith----when it is also kn own as the Shield of David or the Magen David----only gained common use as recently as 1897. During the Nazi persecution of the Jewish people, stars made of yellow cloth were attached too their clothes. Although it had been intended too be a symbol of persecution, after the war this skewed meaning of the symbol was itself flipped over, and took on the opposite meaning, becoming a badge of honor and pride. In Tibetan Buddhism, this universally important sign makes its appearance as the Sharmodaya of Vajrayogini. 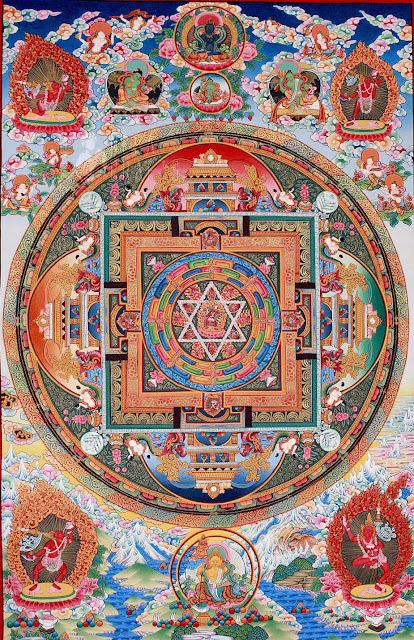 This is a three dimensional hexagram with the Vajra at the center. 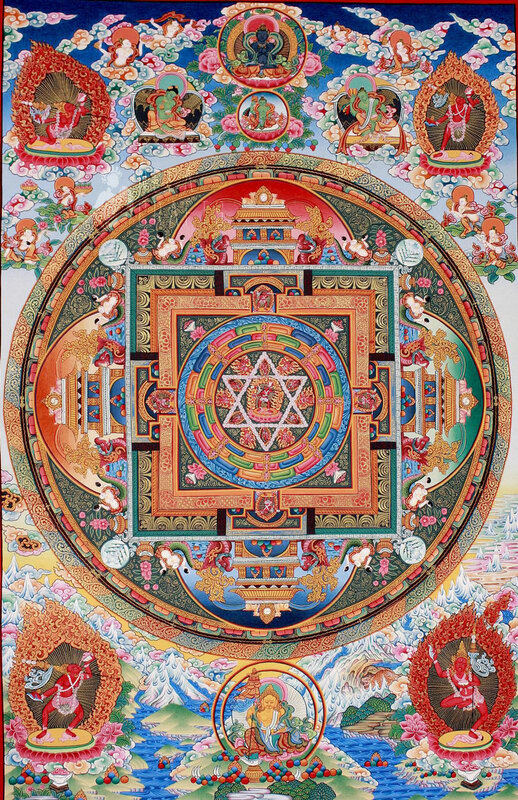 the interior of the symbol is red, symbolizing bliss, and the exterior is white, signifying emptiness. The three angular corners of the triangle represent the "emptiness of cause, effect, and phenomena." the six smaller triangles stand for the six perfections; generosity, wisdom, concentration, effort, patience and discipline. the smaller triangles at the top and bottom are empty, a reminder of selflessness of all beings. Each of the four triangles at the sides has small "wheel of joy" symbols inside them. these for joys are joy, perfect joy, the joy of cessation and innate joy. What are your views on the Seal of Solomon ? illuminati works off blood line Is you want to know the Real about It all I can tell you..
15 December 2012 at 20:13 This comment has been removed by a blog administrator. A man of God. Please enlighten us as to just who this God fellow is. Yahwey? Tetragramatron? ET? Speak up or forever hold your peace.